Zucchini Brownies Recipe + Important Announcement!! This is a recipe for fudgy zucchini brownies that are sugar free, vegan, and full of shredded zucchini for an added vitamin and veggie boost. 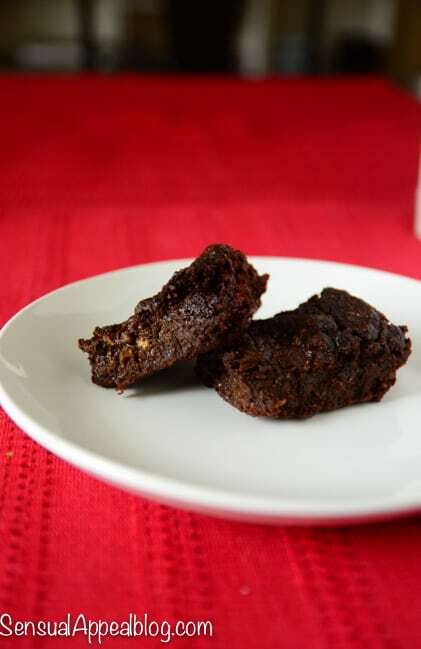 These healthy brownies are delicious – all you taste is chocolate! Could you tell they have zucchini inside them? Not unless you really look at them. 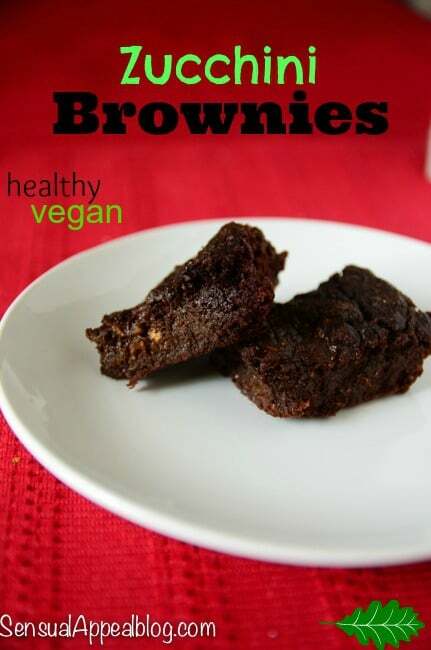 These yummy little brownies are packed with zucchini but they certainly do not taste like it! Not only are these yummy brownies filled with this fabulous late-summer veggie, but they are also completely free of sugar and are vegan! Could it get any better than this? Don’t you just love eating BROWNIES that are healthy? It almost sounds like an oxymoron. Healthy brownies? But it’s true – they exist. You can feel good for eating brownies! 🙂 I bet your kids won’t even know they are eating a healthy snack. And if you are worried about the look of them, since you can see the zucchini – just try adding a layer of chocolate frosting on top to cover it up! Great idea. Oh yeah, if you are not currently a Botanic Choice customer I highly recommend you become one. If you use this link you can get up to 75% off your first purchase of $30 or more. This is my go-to online health store! I am excited to announce something really cool… for the past few months I have been working on finishing my ecookbook and I am happy to announce that it is now LAUNCHED! Woopee!!! I created my FIRST cookbook and it’s all about Healthy & Delicious Single Serving Recipes! I am so excited to share this with you! CLICK HERE for more information and how to purchase this instantly downloadable eBook! It’s only 7.99 and you can get 25% off until Oct 5th if you use the code “BLOG25“! What is your favorite sneaky veggie-filled dessert? 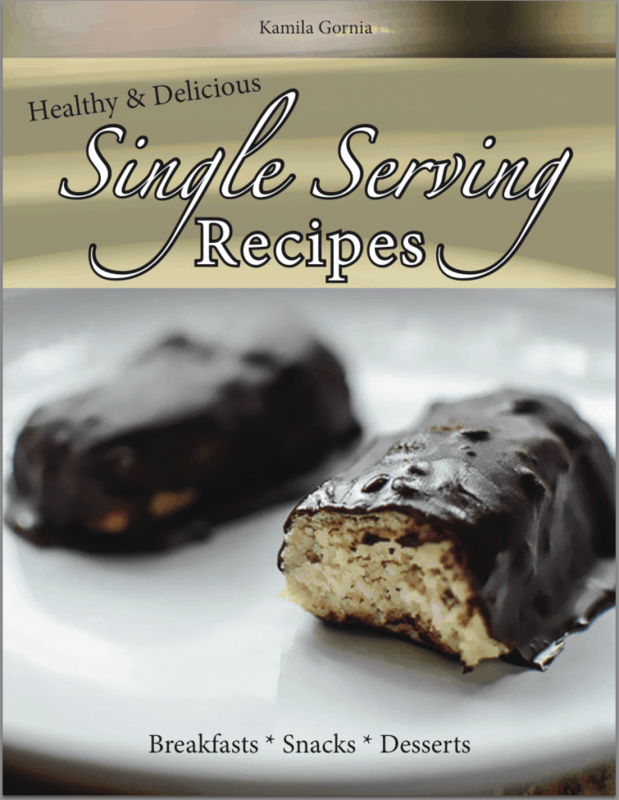 Do you like single serving recipes? What is your favorite recipe to make as a single serving recipe? Congratulations on publishing your first ebook! I laugh Im married with a child and I still end up making LOTTTTTSA SINGLE SERVE STUFFS. Holy.snap, lady! Congrats on the e-book! I love single serve desserts because I usually get bored of a recipe before I can finish off a whole batch of whatever it is I made. Mug cakes are probably the best single serve recipe out there… quick, easy, and totally customizable. Thank you so much! I know right, I love single serving recipes, especially desserts 😉 I got all my friends into mug cakes – they are obsessed now! Girrrrl! These look sooo fudgy and delicious–I can’t believe they don’t even have sugar! I am in serious love with your eBook and I am so proud of you for doing this!! Congrats on the eBook! I don’t make single serving recipes that often, but I feel like they would be really convenient and yummy! These brownies look awesome too. Congrats on the e-book, Kammie. And these zucchini brownies are gorgeous. Congratulations on your cookbook! That is soooooooooo awesome! I love the idea of single serving recipes! I’m so happy for you!!! These brownies look so crazy moist and fudgy!! Can’t believe they have zucchini in them! Those brownies look amazing!! And congrats on your ebook lady, sounds like my kind of book! I love single serve pumpkin pie! Congratulations!!! 🙂 I love single serve desserts! SO cool about the cookbook, Kammie! And I can’t wait to try these brownies. The perfect treat to enjoy during the last bit of zucchini season! They really are, enjoy Karla! 🙂 Thank you!